Enhance or restore your skin’s appearance with cosmetic fillers that replenish the dermal layer. These FDA-approved treatments soften deep facial lines, smooth creases around the mouth, and create rejuvenated lips. 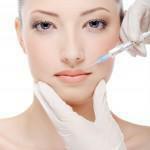 Our team takes great pride in the art of injecting fillers. Dr. Emery is well known for her technique and the personalized approach she takes with each client. She is a sought after expert and routinely trains other physicians and their staffs. Dr. Emery’s entire team has trained extensively with her and the results are undeniable. JUVÉDERM® is the first smooth-consistency gel formulation and the only hyaluronic acid filler FDA approved to last up to 1 year. The unique formulation of JUVÉDERM® injectable gel allows it to flow consistently and easily into the skin creating a long-lasting, smooth, natural look and feel for patients. The latest innovation in filler technology, JUVÉDERM® XC (XC stands for extra comfort), includes lidocaine to minimize any discomfort during the injection. We consistently achieve excellent client outcomes; the majority of our patients maintain improvement over 1 year. Our medical team works with a number of fillers. However, JUVÉDERM® is the filler most commonly used. Please schedule a consultation to learn about the various fillers and which one is best for you. What to expect during the procedure: The best results are achieved when there is a thorough understanding of the client’s individual anatomy. That is why each of our clients receives a thorough consultation and evaluation to assess skin structure and movement (Dr. Emery performs a consultation above). In addition, we speak in depth with each client about their desired outcome. Some clients want a very subtle result, some want something more dramatic. After we thoroughly understand your anatomy and your desired outcome we will discuss the recommended treatment plan and begin the injections. Getting fillers used to be a somewhat painful procedure. Today, fillers come with lidocaine meaning that comfort levels have improved dramatically. Typically a topical numbing is used for about 10 minutes. In addition, ice may be used during the procedure for increased comfort and to minimize swelling that may occur. Procedure times vary based on the extent of the treatment, but typically they take between 15 and 45 minutes. The duration of effect varies based on a number of factors, but in general you can expect results to last for 9-12 months or more. Aftercare: You may experience some mild swelling, bruising and associated discomfort at and around the injection sites. These are typically alleviated by applying an ice pack for brief periods of time. We also recommend avoiding sun or heat exposure and strenuous exercise for 24 hours. Of course, you should call us with any questions or concerns. We typically ask you to return in approximately 1 week for a post-treatment assessment.